Discover and unravel some of the greatest works during the Spanish era through Literature Appreciation: The Spanish Golden Age. 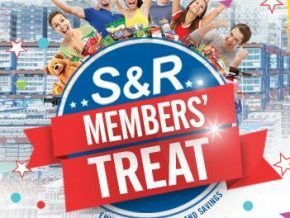 It's happening on March 3, 2019 from 3 p.m. to 5 p.m. at the Ayala Museum, Makati City! 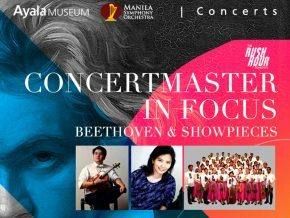 MSO opens its 2019 Rush Hour Concert Season presenting a Recital of their new Concertmaster Diomedes Saraza Jr. this February 21 at the Ayala Museum. 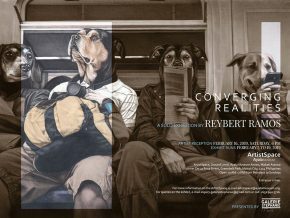 See the contemporary Manila through the eyes of the visual artist, Reybert Ramos, as ArtistSpace and Galerie Stephanie present Converging Realities exhibit from February 5 to 19, 2019 at Ayala Museum, Makati City. In celebration of 100 years of National Artist Francisco V. Coching, Ayala Museum will pay tribute through Pagbati sa Hari: A Day of Komiks Pop-ups and Talks on Saturday, January 26, from 9:00 a.m. to 6:00 p.m.
Help shape young minds as Ayala Museum brings you a one-day workshop of written exercises and brainstorming sessions to help bring out the inner writer in them. 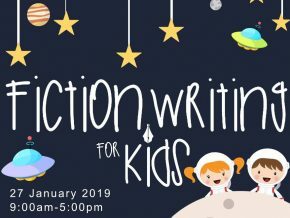 Catch Ayala Museum's Fiction Writing For Kids this January 27, 2019! 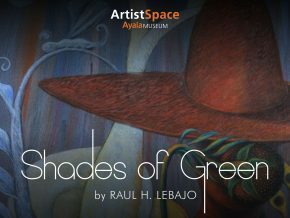 Take a journey into the progressive five-decade career of visual artist Raul H. Lebajo as ArtistSpace displays a unique solo exhibition of his latest works in Shades of Green running from December 6 to 19, 2018, at Ayala Museum. 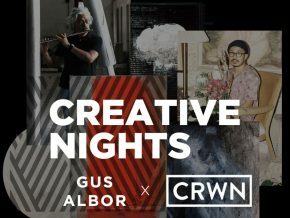 Be amazed with the reenactment performance of the Gian Carlo Menotti's Amahl and the Night Visitors directed by Anton Juan on December 14 at the Ayala Museum! CINCO: A Solo Exhibition of Anita del Rosario Happening at the Ayala Museum from November 7 to 19! Come and gaze your eyes upon the works of one of the best woman artists of the country. 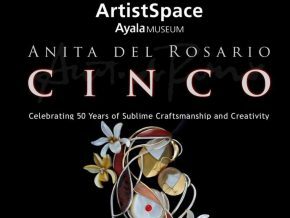 Anita del Rosario's solo exhibition, CINCO: Celebrating 50 Years of Sublime Craftmanship and Creativity, is the highlight exhibit at ArtistSpace, Ayala Museum. Dia de Muertos: Forgotten Souls is happening this October 26 from 7 p.m. to 12 m.n. 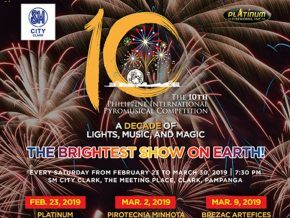 This event pays tribute to the dead--specifically the forgotten souls who are not able to crossover to the other side. 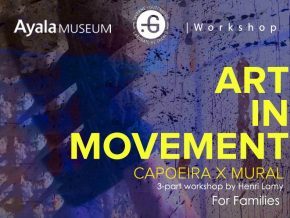 Learn the basics of Capoeira and Mural Making and incorporate its techniques in creating your own live-action painting at Ayala Museum's 3-part workshop called Art in Movement: Capoeira x Mural this coming October 20, 2018, at the Ayala Museum GF Lobby and Plaza. 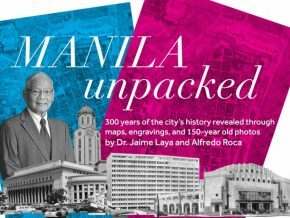 Manila Unpacked will give a detailed rundown on how the capital city was formed, along with the information on how the city evolved through 300 years of time. 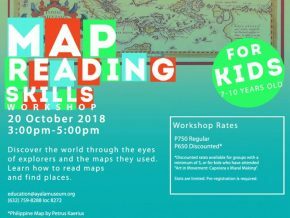 Let your kids develop a skill or two at the Ayala Museum's Map Reading Skills Workshop. Creative Passion Path brings us just the kind of art we need for our well-being at Ayala Museum this September- The Meditative Arts Workshop! Appreciate the beauty of vulnerability as one of humanity's greatest assets in "In Praise Of Vulnerability", the fourth solo exhibition of visual artist, Martie Datu! 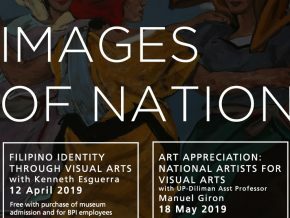 Fortunately, the Philippines' very own Fernando Zobel chose to dwell in the art of Abstraction, opening other Filipino artists' lenses, more so now with Ayala Museum's Abstraction through Zobel. 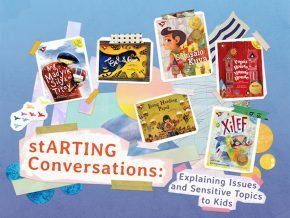 Adarna Books responds again to every children's need by explaining issues and sensitive topics to kids through stARTing Conversations at the Ayala Museum. 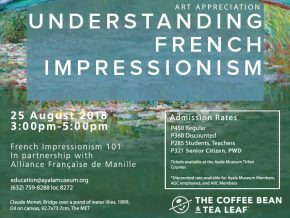 Discover art movements and techniques used in the art of Impressionism through this talk happening this coming August 25, 2018, at Ayala Museum! 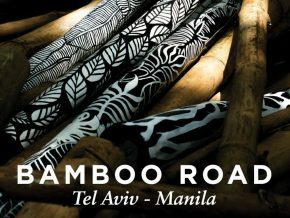 Ayala Museum invites us to take the Bamboo Road: Tel Aviv-Manila from July 25 to August 13, in celebration of 60 years of friendship between Israel and the Philippines. 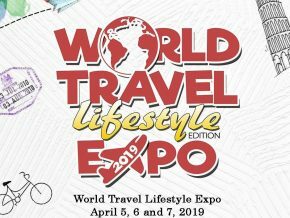 If you missed Ayala Museum's first workshop on travel writing, worry no more, because another one is on its way! 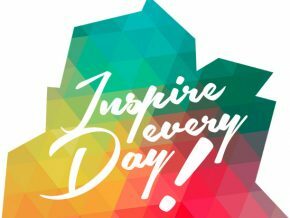 Calling all filmmakers! 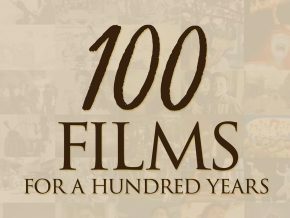 now is your time to share what you are passionate about as THE HIDDEN CINEMA: The Virtual Experience of the Philippine Cinema Centenary highlights various local films at the Ayala Museum, Makati City. 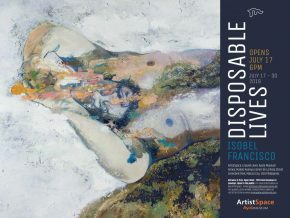 Disposable Lives showcase the 5th solo exhibition of visual artist, Isobel Francisco at the ArtistSpace, Ayala Museum on July 17, 2018 to July 30, 2018! 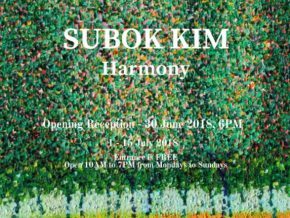 See how countless dots, points and tiny circles of various colors come together to form one bigger picture at "Harmony" on June 30, 2018, at ArtistSpace Ayala Museum, Makati City! 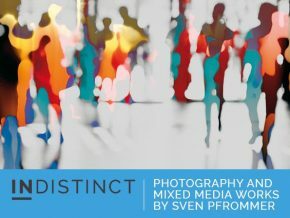 INDISTINCT is Sven Pfommer's 7th solo exhibit. Catch it at the ArtistSpace in Ayala Museum. 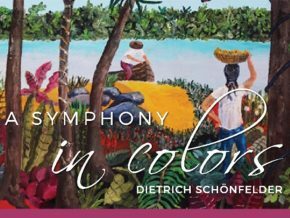 A colorful display of both nature and people by the German visual artist, Dietrich Schoenfelder will be on display at Artist Space, Ayala Museum this first two weeks of June. 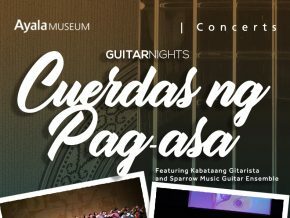 Take a look at how music changes and inspires the lives of the youth as Ayala Museum presents Guitar Nights: Cuerdas ng Pag-asa on Friday, May 24, 2018 at 6:30 PM – 8:00 PM. Make a difference. 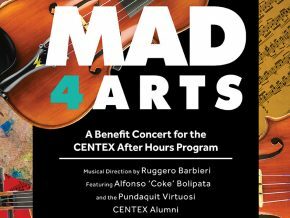 A night of art, drinks, and classic violin is a night to remember as well as support Ayala Foundation students.